Home / celeb / comedy / joanne kam / news / tour / “Joanne Kam: La La Lian Nationwide Tour” kicks off in Penang today! 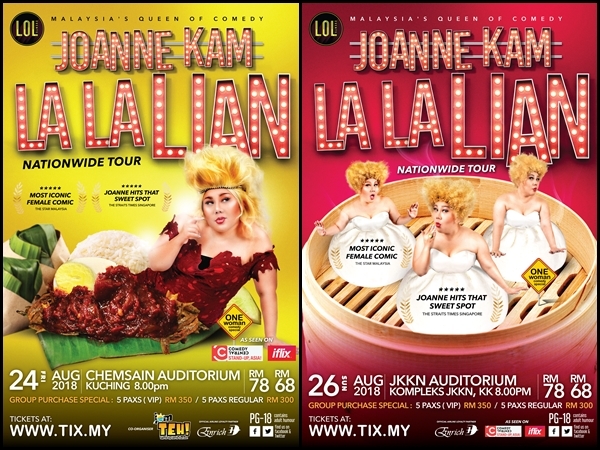 “Joanne Kam: La La Lian Nationwide Tour” kicks off in Penang today! Malaysia’s Queen of Comedy Joanne Kam is taking her one-woman comedy special, “Joanne Kam: La La Lian Nationwide Tour”, to five major cities in her home country from August to October 2018. The tour kicks off today in Penang, where it will be held for two consecutive days, before crossing the sea for a comedy-filled weekend in Sabah and Sarawak this month, followed by two more shows in West Malaysia in the next two months. Different posters for different cities, Joanne ‘tastefully dressed’ in all. For 90 minutes, Joanne Kam will entertain the audiences with her up close and personal comedic storytelling. 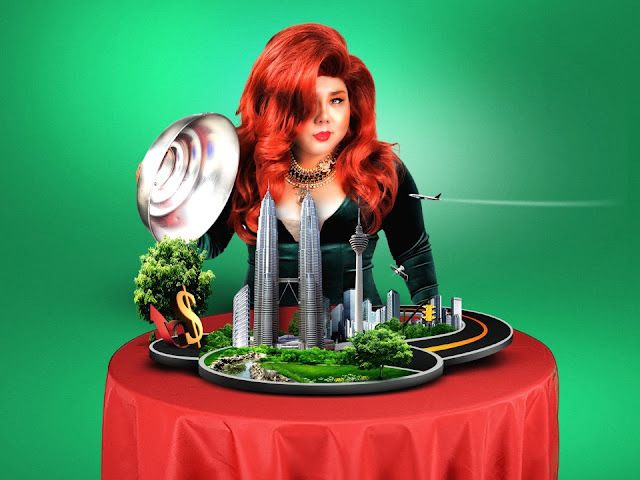 The comedian will be sharing her nomadic life’s journey, her 26 years of experience in the entertainment industry, and even tales from her first entry in the dim lit backstages of Haw Par Villa, to the blinding lights in Boom Boom Room, to the empowering “Super Kam” (all femme comedy series), to now her own nationwide tour of her one-woman show.